This Clear crystal encrusted barrel bead which is beautifully made and supported by an adjustable 18-20 inch Rhodium Plated chain. The bead measures 8mm by 9mm and consists of 44 Swarovski element clear crystals. 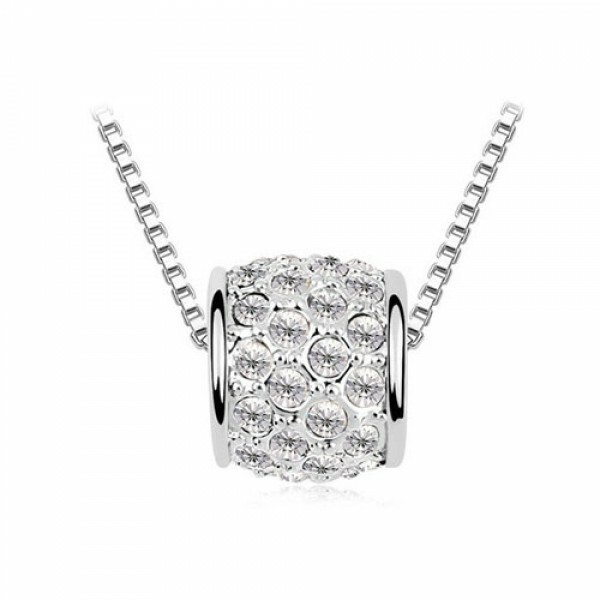 Be the centre focus and showered with compliments when wearing this stunning necklace. Each pendant will come presented in its own box.